Welcome to Estepona Marina Properties! Estepona Marina Properties offers Property Sales, Holiday Rentals & Property Management around Estepona and the Marina area, with an on-line rental booking system enabling you to secure your ideal holiday property directly on the web site. Further information and features are constantly added to keep you up to date of the services we can offer and also with details on Estepona town and the surrounding areas. Jane and I (Mike) have been successfully involved in the Estepona Property Rentals, Sales and Property Management for a number of years, and were the first company to introduce a fully bookable web site for Estepona holiday rental properties. This has proven very successful and popular, especially with our clients who come back year after year! All our holiday rental properties are within easy walking distance of the popular family beach in Estepona (Playa del Cristo). Along the front of Estepona town there is a 2km paseo and Playa la Rada beach. 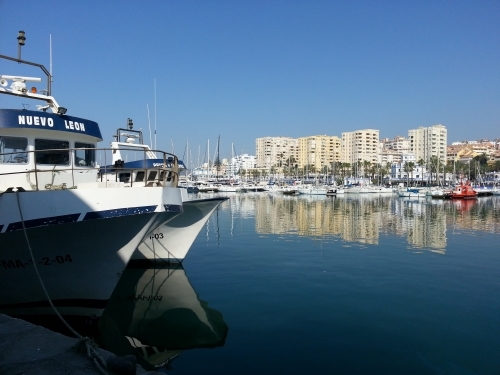 Estepona Marina (Puerto deportivo) is a short 10 minute walk and Estepona town only 20-25 minutes walk away. To help with your holiday we have teamed up with one of the largest Car Rental brokers who are able to offer very competitive car rentals, please click the link, you will be surprised how competitive they are, check them out! Hope you find our improved web site just as easy to use as the old, if you have any comments or suggestions please contact us via the contact page.